Google Assistant is one of the best Assistant right now. Now, it is available for iOS. So, iPhone users can now enjoy this along with Siri. Google has released the Assistant iOS app. This app does not bring all the features of assistant for Android, but it is still worth to try. As of now, Google Assistant for iOS is only available in the US. However, people now living in the US can also install Google Assistant on iPhone in other countries with a simple workaround. 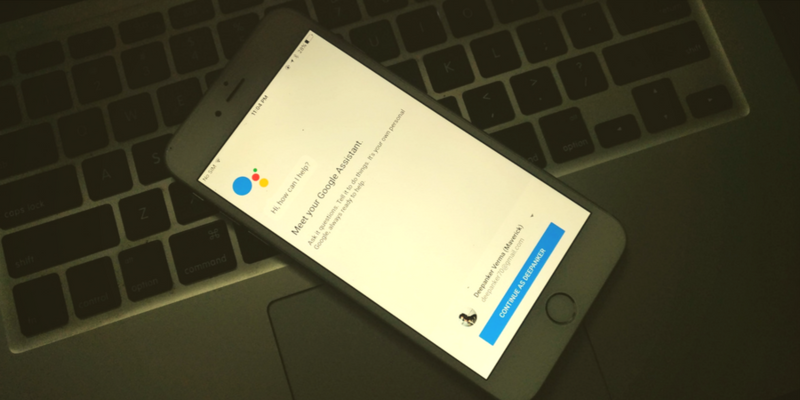 In this article, I will tell you how to install Google Assistant on iPhone in any country. Note: I tested this phone on iPhone 6 Plus and it worked without any trouble. 1. Sign out of your current Apple id. You will have to create a new one to use this trick. 3. Now search for “Google Assistant” app on App Store and tap on “Get”. It will prompt for Apple ID. here, tap on create new Apple Id. 4. Create a new Apple ID with country “United States”, enter other details like email, password, and security question. 5. In the next page, it asks for payment method. Select “None” as the payment method and put any random address and US pin code. It will also send a verification email to your email address. 6. After the verification of Apple ID, you can again tap on “Get” button to download the Google Assistant. I hope this tutorial helps. If you follow these steps properly, you will get success in installing Google Assistant on your iPhone from any country. Try this and see how Google Assistant works on iPhone. Do not forget to share your experience with us in comments.